Mint and gray - perfect combination! We used them to create the latest sweatshirt for breastfeeding with mint zippers and a hood. Urban design that works in every situation, will give you a fashionable look and ease while breastfeeding. The mint zippers and hood are designed to fit perfectly into urban style. Its loose shape makes it comfortable and practical. You can enjoy it even for several years. 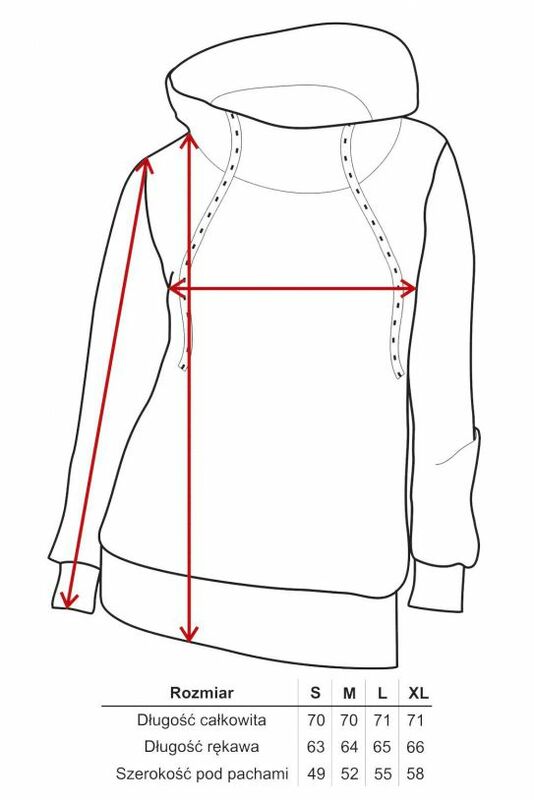 The slim inserts with zippers and a hood give the blouse a unique character. The zippers we sewed in at the neckline do not serve as decorations. They were located there for a good reason. All you need to do is unzip one of them and move it to the desired height and you can easily latch your baby to the breast. This makes it easy for you to feed your child, whether on a walk or in a public place. With this solution you do not have to completely undress to feed your baby. What is so appealing about Mamatu hoodie with mint zippers? high quality fabrics - the fabric is nice to the touch and durable, which allows you to wear it for a long time without losing the shape of the hoodie.